​Veteran infielder ​Brad Miller signed a ​one-year, $1 million deal with the ​Cleveland Indians at the end of Spring Training. His stint with the team didn't last long, as he was designated for assignment following Sunday's game. 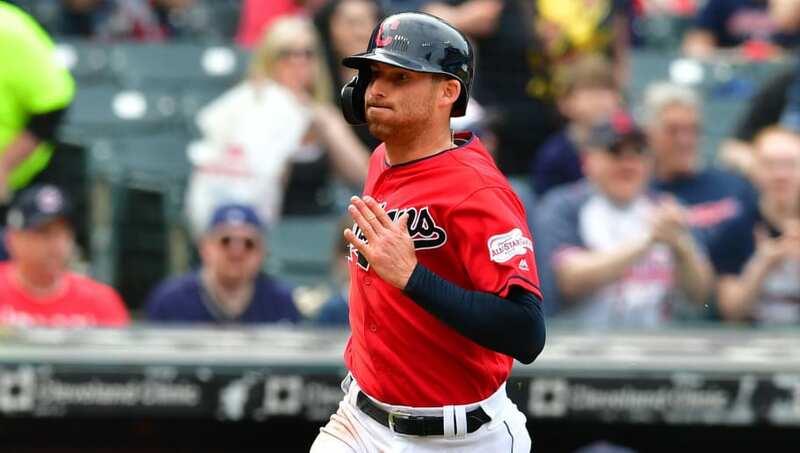 The Indians cut bait with Miller in order to accommodate the return of Jason Kipnis, who started the season on the injured list with a calf strain. But why didn't the Indians option a younger player, or someone with less experience? According to Miller, it's clear they don't want to field the best roster. “It’s a tough trend,” said Miller. "They acknowledge that it wasn’t fair. But I’m just a player. I go out there and play my hardest and play for the guys next to me." ​​In 13 games this season, Miller slashed .250/.325/.417 with 1 home run and 4 RBI. Those aren't eye-popping numbers, but he ranked third on the team in OPS and is a versatile defender capable of playing all over the diamond. Those are the kinds of players teams usually want to keep around, but Cleveland has other plans. Miller's comments should be extremely concerning for Indians fans, as the team is already vastly underperforming. If the players don't feel that the team is putting its best foot forward in order to win games, especially in a weak AL Central division, then there is a serious problem within the clubhouse.